You can support our work every time you shop on Amazon.com. -Create an AmazonSmile account with your Amazon account, then shop as you would normally on Amazon. -Select Thai Christian Foundation as your organization at checkout. 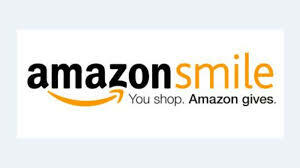 -Amazon will donate 0.5% of the price of your eligible purchases to TCF. Look for Where God Leads … Never Give Up 2nd Edition 2015 on Amazon. Available in Paperback and Ebook! !